As one of the most in demand session musicians in Korea, Yeahwon Shin has had the opportunity to perform with great musicians such as Kevin Hays, Jeff Ballard, George Garzone, Ben Street, and Egberto Gismonti. Yeahwon is beginning to establish herself as one of the most versatile vocalists on the music scene today. Inspired by the sounds of Brazilian, classical and jazz music, Yeahwon Shin is a new vocal artist with clearly a lot to say. Yeahwon's musical journey began in the suburbs of Seoul, South Korea where her musical talents first showed at the early age of five. In 1999, although never having taken any formal vocal lessons, Yeahwon applied to the Dong-Duk music university. Kwang Min Kim, a well-known jazz pianist in Korea and also a judge on the audition panel, talked about her on a radio show. He said that when he listened to her, her singing was so beautiful, it brought tears to his eyes. In 2005, Shin moved to New York to extend her musical studies and attended the New School University Jazz and Contemporary program. She graduated with honors in December of 2006. And since has been sharing her talent by collaborating with very well known musicians and performing at various music festivals. In October 2009 Yeahwon was invited to join ArtistShare and is preparing her first fan-funded record release in the summer of 2010. Her untitled record will feature some of the best musicians around the globe and give her fans an amazing opportunity to participate in the record's creation. 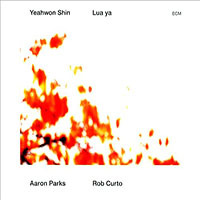 Yeahwon Shin Showcases Her Brazilian Influences With "Yeahwon"
Yeahwon Shin partners with Egberto Gismonti on "Yeahwon"
All About Jazz musician pages are maintained by musicians, publicists and trusted members like you. Interested? Tell us why you would like to improve the Yeahwon Shin musician page.